The country’s northern regions maintain popularity around the year due gorgeous slopes of Caucasian mountains, whose picturesque beauty amazes everyone. New but gaining popularity quickly, the Shahdag complex located in the Gusar region has attracted not only local but also foreign tourists during the holidays. The tourism complex reported that about 1,700 people settled in the hotels of the facility for the period from December 31 to January 3. As for the prices in local hotels, the price for one-person starts from 109 manats ($70) during the week and reaches 265 manats ($169) on weekends. The facility attracts all wishing to ski without the need to leave the country. The weather conditions this holidays did not disappointed lovers of outdoor activities who could enjoy 11 slopes. However, the center has also engines to generate artificial snow to cover 128 ha area during warm winters. The increasing number of visitors made the complex to increase the number of ski equipment. The Shahdag complex expects 120,000 tourists this winter. 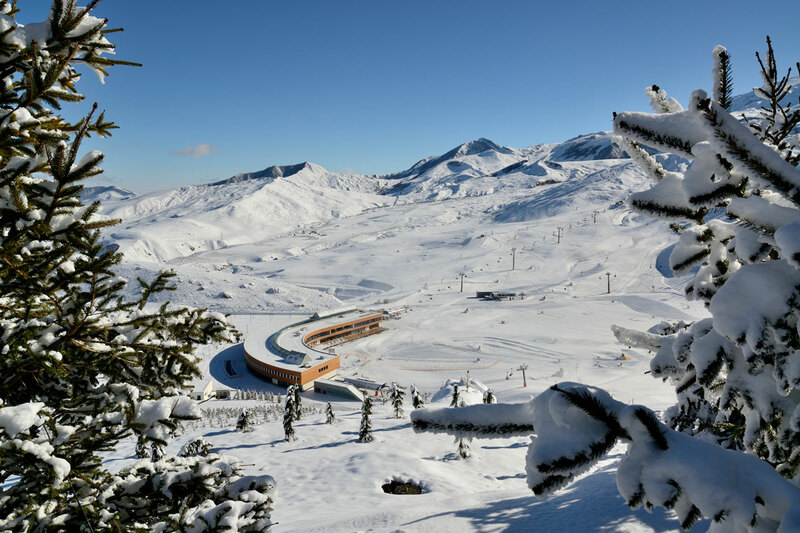 Azerbaijan has also another ski complex located in Gabala region – Tufandag. Prices in hotels around the complex are more affordable, as start from 40 manats ($25.5) up to 100 manats ($64). The complex provides visitors with skiing slopes and cable roads with a total length of 5.8 km. Another bunch of tourists headed to Guba to see the natural beauty of this region covered with deep snow. The number of tourists in this destination during holidays has increased by 50-60 percent. Of course, many Azerbaijanis visited foreign countries during the holidays, including their favorite destination – Turkey and Georgia.